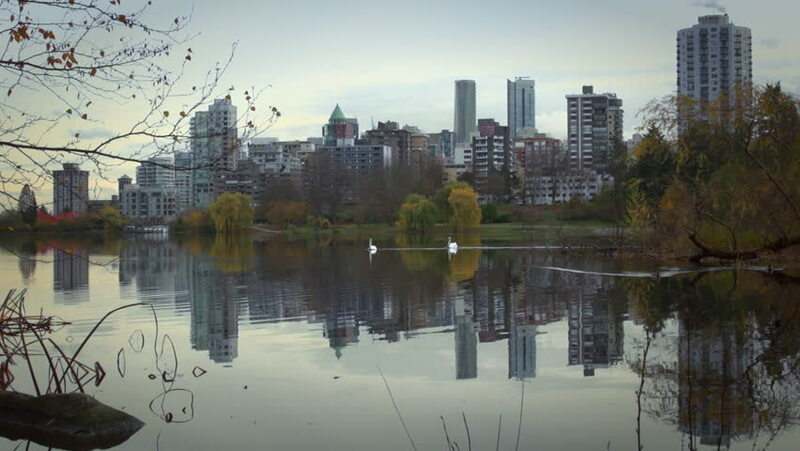 The skyline and colourful autumn trees of Vancouver's west end are reflected in the calm waters of Stanley Park's Lost Lagoon. A pair of white swans float, ducks and a blue heron enter the frame. hd00:30People can rent and sail remote controlled sail boats at the Conservatory Water in Central Park in Manhattan. Ducks swim by in the foreground. The boathouse and skyline can be seen as well. 4k00:17Kuala Lumpur, Malaysia - December 8th, 2018 : Buildings or landmarks with reflection by the lake at Kuala Lumpur skyline city.